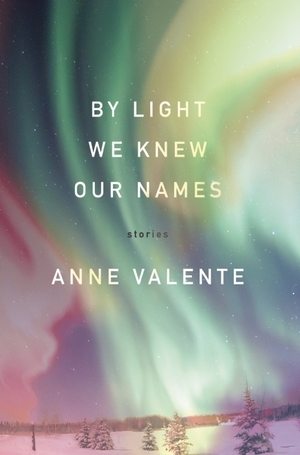 In late September of 2014, Anne Valente released her first full short story collection, By Light We Knew Our Names (Dzanc Books), after winning a host of awards for her fiction, including Copper Nickel’s 2012 Fiction Prize and Dzanc Books’ 2011 Short Story Collection Competition. Prior to the anthology’s release, Valente had already established herself as a rising voice in the genre, known for such works as her story chapbook, An Elegy for Mathematics (Origami Zoo Press), and for popular stories like “A Very Compassionate Baby,” which was listed as a ‘Notable Story’ in the 2011 edition of The Best American Non-Required Reading. By Light We Knew Our Names is built on a series of stealthy and beautifully curated pieces of magical realism, bildungsromans, and research-focused set pieces for Valente’s characters, and Memorious was lucky to feature her story, “Mollusk, Membrane, Human Heart” as part of Issue 18. 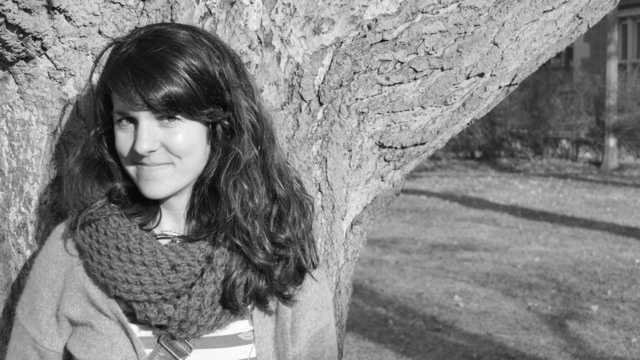 Valente was kind enough to talk with us about her stories, her processes, and what comes next. Reading through the collection, I was taken by how precise and uniquely human the psychology is among your characters. What do you think connects your characters together psychologically? Thank you! I’m glad they feel true to human experience. Writing a character is for me an act of empathy. I don’t want to write characters in my own image, who make the same choices I might make. In fiction, I strive to put myself in their position to better know how they would or wouldn’t act and react. Empathy sounds like such a clichéd term for this, so what I mean is not only empathy—understanding their emotions, motivations, worldviews—but also quite literally putting myself in the world of the story and its scenes. If I were Sasha at a birthday party with my package unopened while my friends have pocket librarians and fishbowl bellies, how would I react? If an eerie sound pervaded my street and broke through the windows of my house, what would I do? What would all of these characters do, with their specific sets of conditions and personalities and backgrounds? In this sense, character psychology is far more intuitive for me than planned or outlined. What are the obsessions you work through in your stories? Why is fiction a good spot for these obsessions? My guess is that most writers have their obsessions; mine seem to appear again and again. I’ve been thinking about repetition a lot lately, both in language and in structure and form, and I think repetition speaks to obsession and urgency, of trying to write the same thing over and over again without really getting at saying it. This so often applies to things that are unsayable or beyond language, which is why I think obsessions lend themselves to fiction and to attempting to write through something over and over. One of those things for me is loss and mortality. It’s unthinkable—and inscrutable—to me that we are here and then we aren’t. I feel like I’m writing the impossibility of this again and again, especially since there are really no words for it; writing is the best attempt at getting at understanding it, even if I never quite get there. Beyond theme, I’m also pretty obsessed with science, nature, and biology. I could spend weeks with an astronomer or park ranger or ornithologist and never get bored. I bet there is never a dull moment in their lives! Each of your stories has such a strong research component to them. Can you talk about the research you did for one of the stories in By Light We Knew Our Names? How did it lead you toward or inform the story’s overall design? Research is paramount to my writing process. I research less to stake claim on a particular facet of knowledge and more to discover something new, to imagine possibilities, and to be amazed, always. The research is obvious in some of these stories—octopus biology in “Mollusk, Membrane, Human Heart,” the life of Amelia Earhart in “Dear Amelia,” the specifics of the 1964 World’s Fair in “Everything That Was Ours”—and less obvious in others, such as in “Until Our Shadows Claim Us.” This story begins with the Challenger explosion and moves through several other major events that a group of children believe they’ve caused: the Chernobyl disaster, a carbon dioxide explosion in Cameroon, the hijacking of Pan Am Flight 73. The story never explicitly states the year, but all of these events happened in 1986. Research was required of each of these world events and their timeline in relation to one another, as well as details of setting and environment that would have been true to 1986. For the story you published with us, “Mollusk, Membrane, Human Heart,” where did the concept come from? Can you walk us through its development? Out of every story I’ve ever written, this is the only one that first required a physical drawing on my part in order to visualize the story and how it would end. I usually don’t begin with endings, but I had this image in my mind of this broken man sitting beside a pond of ink-darkened water where dead frogs were floating everywhere. I’m not sure where this image came from, but the story was a process of writing my way toward it after drawing it out. I knew an octopus was the cause of the ink in the water, so I spent a lot of time first researching octopus biology and anatomy. Then I began writing Walter in his laboratory, beneath the stranglehold of Dr. Carver and his ill-fated, illegal experiments. From there the story flowed, as did Roseline and the particulars of her marriage with Walter, but the story began from an image of dead frogs and octopuses in a pond and a man destroyed by the sight of them. Who are some of your most influential short story authors? What collections have you read recently? My most influential short story writers of all time are Lorrie Moore, Aimee Bender, and Raymond Carver. I read their stories closely when I was first beginning to write, and each of them taught me something important about my own craft: language in Moore, magic in Bender, the power of understatement in Carver, among so many other things. I’ve loved many recent collections as well, each of which continues to teach me how to put together a story and a great collection. I adored Megan Mayhew Bergman’s Birds of a Lesser Paradise and Laura Van Den Berg’s Isle of Youth (as well as her first collection, What the World Will Look Like When All the Water Leaves Us). I’m also reading Diane Cook’s Man V. Nature right now, which is phenomenal, and I have Micah Dean Hicks’s Electricity and Other Dreams up next on my nightstand. We understand you’re working on a collection of stories centered around St. Louis. What are some works of literature that have been influential to you that have focused particularly on setting and place? Setting and place have grown increasingly important to me as I work on this collection. I’m trying to figure out across each story what it means to write the landscape of St. Louis and the Midwest in general: whether the land is located in the thunderstorms and the tornados and the cicadas and the river bending around the city, or if it’s something less tangible. Much like obsessions, I’m writing my way toward it and around it over and over again. Some recent works that have offered me insight into how writers address a specific landscape are Benjamin Percy’s Refresh, Refresh, which sets itself in the landscape of central Oregon where the terrain becomes intertwined with the character trauma; W.G. Sebald’s The Rings of Saturn, which is a fiction/memoir hybrid that contemplates time and memory as the narrator walks around the East Anglian countryside; and David Abram’s The Spell of the Sensuous, which is non-fiction but takes up the relationship between writing and landscape and how writers can “write themselves back into the land.” These texts have been especially helpful to me in thinking broadly about landscape and fiction, and about what it means to write from a particular place. I still haven’t forgotten “Mollusk, Membrane, Human Heart”–what a wonderfully written story.